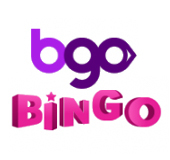 BGO Bingo Review| Claim Bingo Bonus Codes at BGO! Beat the boss with BGO Bingo, one of the largest and star-studded online bingo sites to hit the scene. When you roll onto the glam pink reels, you'll be greeted by your celebrity hosts, Paris Hilton and Vernon Troyer. You can then get a taste of the high-life with a generous welcome bonus package and rich promotions. The brand boasts an optimized graphic interface, awesome features, easy navigation and smooth gameplay. You can then head to the games lounge and you'll be in for a treat with a premium selection of bingo, slots, Vegas and casino releases. BGO is overflowing with glamorous bonuses, tons of promos, jackpots and plenty of cash to go around. First up, you can take advantage of the first deposit bonus where you get up to 500% worth of bonuses! Just deposit £10 and play with £50 back PLUS 180 free spins on three of their top games! What's more? Join BGO Bingo today with NO DEPOSIT and you'll get £5 Free and 20 free spins on the slots! Don't miss out on these unbelievable opportunities to have fun and stack your cash with BGO Bingo! BGO boasts a show-stopping selection of 75, 80 and 90 Bingo rooms, as well as Bingo Linx and Progressive games. You can then cruise through Vegas and Casino releases, you can also cruise through Macau, Sports, Mobile gaming and Private Gaming. Also, be sure to check out the brand new Go Bananas! Slot that just premiered at BGO Bingo. For a limited time you can claim 75 FREE Spins from BGO on this hot new slot. Play now! 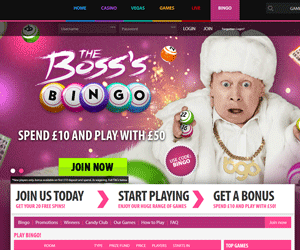 You can also check out BGO Bingo's latest glam TV ads here! BGO’s mobile site operates seamlessly on most smartphones including Apple iPhone, Android Phones and all Blackberry Devices. The mobile site can also be accessed via Apple iPad and Android Tablet. When players join they receive a 500% bingo bonus, 20 FREE spins and a 200% extra first deposit bonus. Players can enjoy amazing promotions and games on the go. One of the top promos is the incredible Happy Hour promotion which happens every Wednesday. The BGO Happy Hour gives you up £50 cashback on all losses. Players can choose from a huge selection of games on BGO’s mobile site. There is a vast range of slot and casino games to choose from. There really is something for every kind of player including blackjack, roulette and video poker. Top slot titles include Gonzo’s Quest, Starburts, Cleopatra, Da Vinci Diamonds and many more.